Okay, so as you may have seen, I have been lacking on my "Random Story"-posts. That's not because I have stopped writing them, or anything, but more because I wasn't totally satisfied with them in general - they just seemed so... random - "ehm, yeah, that's what they were supposed to be, wasn't it?" I hear you say and yes, they were, but they just didn't make me happy anymore. 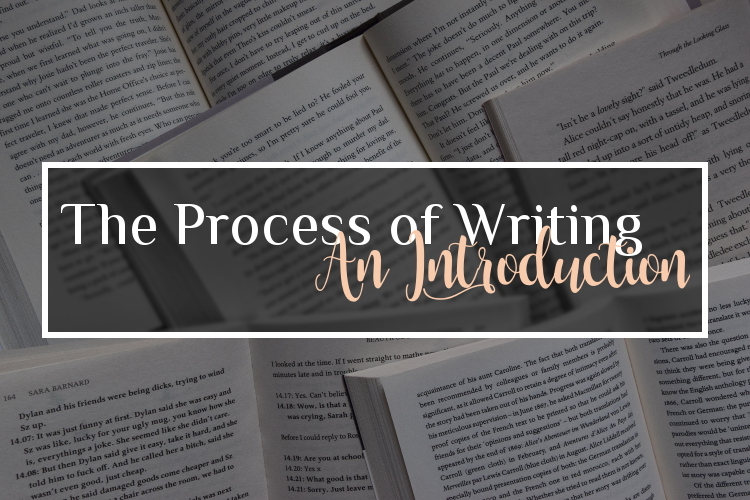 Once I was sure of that fact, I kept thinking about what I wanted to do instead and soon I knew exactly what: I wanted to talk to you about writing, specifically the process of writing! I have never written a book or even finished the first draft of one (I started a two dozens though), but maybe this will be the push I need. And maybe it will be the one thing you need too and because I believe in all of us, I want to start up this category on this blog! That means, that in posts of this category I will keep you posted on what I am doing at the moment - regarding my writing process of course. I will keep you posted soon every step and I will tell you, what really helps me to get to my goal (which is finally finishing a first draft). It also means, that I will tell you if I should have done something another way or should just have exchanged some steps and everything else, that might be interesting for you. I will always take my own novel (or whatever it will be one day) as an example, even though I do not think I will post every chapter I write on this blog. As with today we will start this journey and I am so exited about it! I love you all, and I will see you next week with the first step: THE IDEA.